Nothing prepares a woman for the news that conceiving will be a challenge, but when you’re informed IVF isn’t plausible either, a sense of helplessness just adds to the hurt and confusion. That’s what happened to my twin sister when she got blood test results back from a relatively new test examining egg reserves. 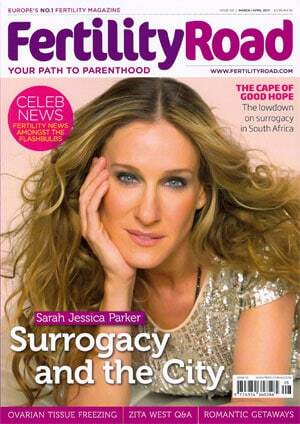 At the time Sarah was 34, but her fertility – the piece of paper concluded – was that of a 42-year old. We always knew mum had a long and traumatic menopause that started in her mid 40’s but neither of us realized it was genetic, or that we would suffer the same. If I’d known sooner, would I have had children earlier in my life? Who knows, but having a choice is always preferable to not. With Sarah’s hormone levels through the roof, egg freezing and IVF were peddled as option without much chance of success. She was devastated. The Anti-Mullerian Hormone (AMH) test brought from the states is now available in the UK, albeit privately. It took two years to get here, proving just how far behind we are when it comes to advancement in fertility treatment. Armed with this knowledge – and with an intrigue in DNA and genetics stemming from her job as a forensic scientist – Sarah started trawling the internet for the next step in US fertility treatment. My head, meanwhile, was firmly stuck in denial. It was a start but there was so much to think about: we were both single, working women on average salaries, how much would treatment cost? How many times would we have to go to America? And would it be as painful as it would doubtless be emotionally draining? Not willing to give up, Sarah dropped D. Silber an email explaining her situation. And waited. His reply came a few days later, filled with questions about hoe she’d heard of him and voicing empathy for her condition. He cleared his busy diary; she booked a flight. Finally onboard but not yet willing to go abroad for treatment, I tried two rounds of egg freezing – the first one resulting in just one egg, the second time yielding none at all, despite retrieving two. My heart broke. In January 2009, I agreed to undergo Ovarian Tissue Freezing too if Sarah’s initial trip proved successful. Ovarian Tissue Freezing (OTF) is a brand new procedure where a slither of tissue is taken from an ovary and frozen – to be reattached to the remaining ovary when the woman is ready to conceive. Once the DNA is reattached, the remaining ovary mimics the age the woman was at the time the first ovary was removed, kick-starting it into producing eggs and taking the body further away from menopause. In most cases, the whole ovary is removed – the remaining one taking approximately a month to notice the absentee before doing the job of two, women continuing to have a period each month as usual. Before the removed ovary is frozen, it’s sliced into approximately eight pieces, each representing two years of egg production. The more ‘slices’ Dr. Silber can get from the ovary, the later a woman can potentially conceive, each one pulling her body back to the date the ovary was removed while simultaneous warding off the impending menopause. As an example, if the woman was 34 when she had the procedure down, and eight slices were obtained and used, she would have a maximum of 16 further years in which to conceive once her periods had stopped, meaning she can have children until she’s 50. You could say the procedure stops the clock. Only nine woman had had the procedure done at St. Luke’s Hospital at the time of Sarah’s visit, all those returning for the second-stage transfer succeeding to naturally conceive within two years. Working in the fertility field since 1974, Dr. Silber’s impressive career includes the first successful vasectomy reversal in the 1970s, the first testicle transplant between twin brothers in 1979 – the wife of the recipient going on to have five children – and the first successful Intracytoplasmic Sperm Injection procedure (ICSI), a procedure that’s now readily available worldwide. It was all pioneering stuff and Sarah was suitably impressed. St. Louis is admittedly an odd place to be holed up for three days on your own. Small, relatively unknown and not accessible directly – flights generally heading via Dallas – getting here takes a whole day. The town has a few shops conveniently laid out in a grid format, and bars and restaurants (the town hanging onto its blues roots with blues bars aplenty), but there’s not much else. And Sarah didn’t know a sole. Dr. Silber’s assistant gave her a warm welcome – equally impressed as Dr. Silber himself that she would come all the way from London to see him. Sat in a waiting room with hundreds of strangers all waiting for initial consultations, I’m sure she felt the same. While reading a wall filled with newspaper articles of happy parents all owing a debt of gratitude to Dr. Silber. Sarah was called in. First step: an ultrasound to see how many follicles were visible on both ovaries – Dr. Silber and his team believing this information to be more telling than an AMH test, hormones wavering too much to gain a sufficiently stable result. The Antral Follicle showed Sarah had 10 follicles, any less and the whole procedure would have been deemed fruitless. Back home and fully informed, I was ready to start my journey to Ovarian Tissue Freezing. Now a team, Sarah and I were an impenetrable force, working in unison to make sure we could have the operation together and supporting one another both emotionally and financially. No matter how much support you have around you, the path to infertility is a lonely one and I felt blessed to have someone who totally understood everything I was going through. Ironic really considering my mum’s early menopause now seems to be the reason she had twins in the first place – no traces of them further back in the family tree. With the date of May set, a busy six months ensued: booking time off work, buying flights, organizing somewhere to stay, purchasing hormones to be taken prior to the operation – some only available from the States – and trying to carry on with life as normally as possible, the date looming ever nearer. When the day came, we were already pumped with drugs and boarded a flight – a slight trepidation as to what we were about to do clouding any feeling of elation. Was it normal to have an ovary removed? Was this really the only path to being a mother? Why didn’t I just adopt like other infertile couples? More importantly, how do you get needles through customs without arousing suspicion? Injecting yourself is never fun and, that night, holed up in a Doubletree in the middle of St. Louis we took a painful shot in the stomach, no enthusiasm for sight-seeing or chatting. The next day, the sun rose at the same time as my spirits, eager once again to get started. The next two days were a blur of sitting in waiting rooms, meeting nice doctors, hearing how similar we looked, filling in forms and taking taxis to and from the hotel to the hospital. It wasn’t fun, but at least I had Sarah with me throughout. The day of the operation finally came and the uneasiness that met our arrival into St. Louis again returned as I got dressed and ordered yet another taxi. Dressed in unflattering green hospital gowns, we were treated like royalty on arrival at the hospital, all the doctors and nurses in great spirits despite the early hour. Dr. Silber interviewed us as another doctor captured the footage on video, today a momentous occasion for the hospital too, being the first UK twins to undergo this procedure. After quoting my name and date of birth what seemed like 100 times, I left Sarah in the waiting room and was wheeled into the operating theatre where Dr. Silber got to work. As the left ovary had more follicles, Dr. Silber made a cut approximately two inches above the pubic bone and an inch long, leaving, he told me before I went under, a slight scar that would disappear in time. The entire procedure took approximately an hour and I was brought round feeling extremely sick from the anesthetic. Sarah was suffering more from pain and was given small doses of morphine on request. Lying down in a private room, we slept. And slept. And slept, the nurses coming in routinely to check on us, never letting us feel neglected or imposing at any time. As dark started to fall, we were preparing to leave when a nurse asked if we would mind having a swab test done – Dr. Silber convinced we were identical twins despite thinking for 36 years we were fraternal; our mum having had two afterbirths. Too tired to desist, we took a taxi back and rested for a couple of days. It was the evening during day two of recuperation when Sarah recognized the early telltale signs of a fever and rang the page number of Dr. Rosen who suggested we go to the Accident and Emergency room for monitoring. Wonderfully looked after as per the whole of our experience, Sarah was hooked up to every piece of monitoring equipment going while I mentally clocked up the cost in my head. Then Dr. Rosen swung through the hospital doors, cutting short a Billy Joel concert he and his wife were at for their anniversary, keen to check his new patient was alright. You wouldn’t get that kind of treatment in the UK, private or otherwise. Life pretty much returned normal on landing back into the UK, receiving a few emails to check we were OK and relishing life without hormones or pending operations. Science has moved forward since 2009 and Dr. Silber is now working on a method using pressure to harvest eggs from the outer layer of the ovary – growing them in a petri dish and giving us yet more hope for a life as mother (and aunt), the latter stages of IVF being possible through embryo transfer. It was a month after returning home that Sarah received the email containing the results of the DNA test we’d had done the day after the operation – emailing me excitedly and bamboozling me with science in the process. Dr. Silber was right, we are, in fact, identical, meaning we can share ovarian slices in the event that either runs out, the child’s DNA being 50% mine if I were to rely on Sarah’s genes, or vice-versa. The news restored my faith in Dr. Silber and his research and, despite not being a slam dunk (as he put it so elegantly), it has given me hope that one day my happy story will also be gracing the walls of Dr. Silber’s office at St. Luke’s Hospital.